As a masterbatch professional manufacturer, how to control the production cost of masterbatch, expanding profit margins, is the most important production work. Typically, for small batches of masterbatches, one-component predispersions are economical to produce, but if the amount required is large, one-component extra costs must be considered in relation to the savings in the production of pure pigments. Most of the color masterbatch mainly by the powdery pigment. 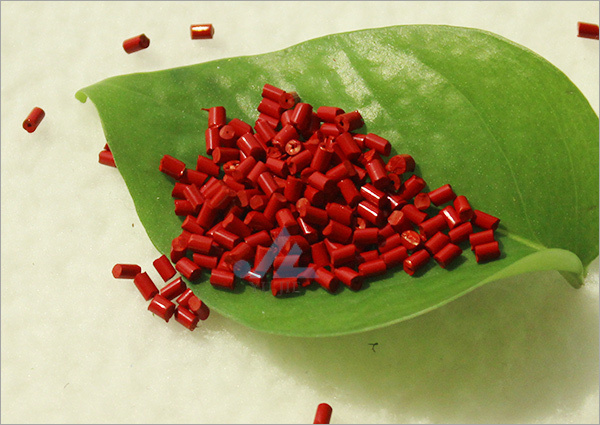 The pigments required for a single color are fully blended with the powdered plastic material by dispersion aids such as wax and then dispersed in a twin-screw extruder and evenly distributed in the plastic material. Note: The effect of dispersion in a laboratory twin-screw extruder is not always consistent with the actual situation on the production line. Therefore, the color values ​​must be checked at the beginning and must be corrected if necessary. 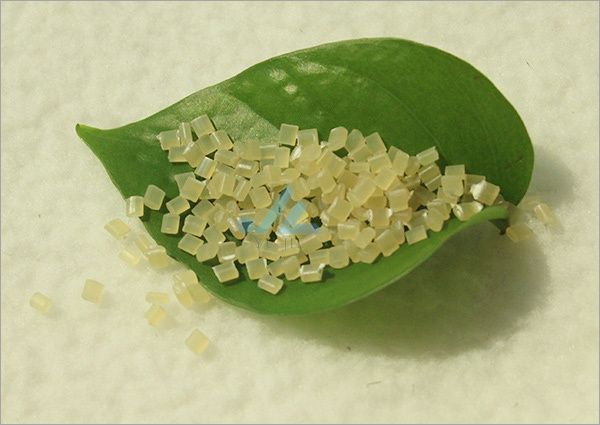 The production of single color masterbatches is accomplished in two steps. The first step is to produce a single component (a masterbatch with a high concentration of masterbatches) and then a masterbatch. The dispersion of the pigment in the plastic material at the highest allowable concentration is referred to as a one-component process. 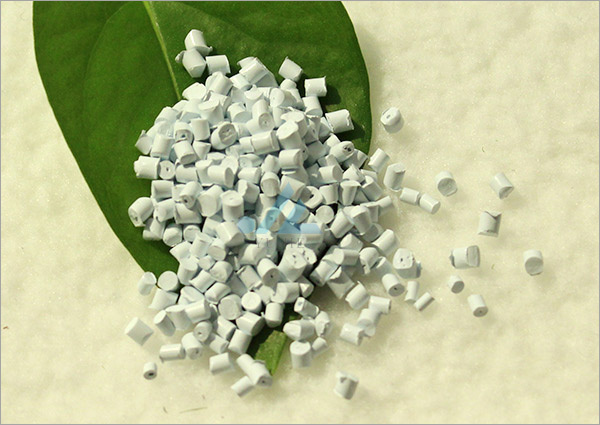 At present, the highest concentration of up to 40-50% of the organic pigment and the highest concentration of 75% of the inorganic pigment can be dispersed by extrusion into the plastic to get a good dispersion effect. 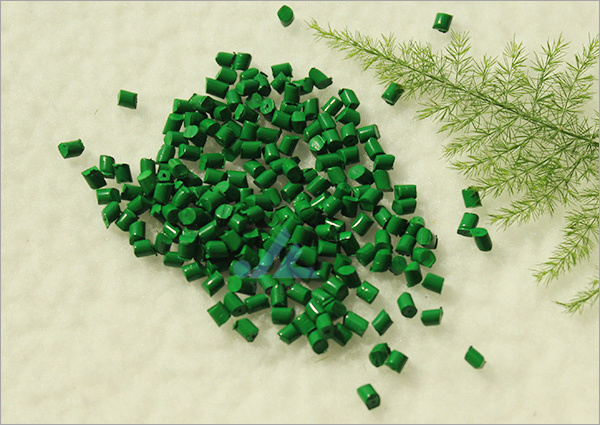 Note: Good dispersion is the pigment particles in plastic is very fine, can get the best possible color penetration capacity, on the other hand, does not allow more than 5 micron pigment agglomeration, so as to avoid the formation of stain. The color adjustment and sampling of the one-component in the laboratory and the production of the masterbatch are all carried out by a single-screw extruder. Since the pigments have been dispersed, the different single components are only melted and blended in a single screw extruder. The actual transferability of the color values ​​of the raw materials obtained in the laboratory can be ensured in the actual production due to the same quality of dispersion in the laboratory and the actual production. The cost of extrusion (equipment costs, energy, labor, cleaning agents, waste, etc.) depends on the machine format and size used and the size of the batch. The cost of dispersing organic pigments in plastics in twin-screw extruders is not limited. Parallel to the twin-screw extruder length to diameter ratio of not less than 40, in order to ensure proper input, extrusion screw has several components from the blend function, with this extruder generally produces relatively small amount of organic pigment color masterbatch . Inorganic pigments have a high density and are easier to disperse, resulting in a much higher yield when produced with twin screw extruders. Therefore, the dispersion cost per unit of the inorganic pigment is lower than that of the organic pigment. Maximum pigment concentration and large machine mass production minimizes dispersion costs for one-component pigments. As the single screw machine does not have to be dispersed, may only need to melt and mix, so the structure is much simpler than the twin-screw extruder. People not only prefer to buy, but it also has the following advantages: easy to clean, low production loss, easy to operate, granular raw materials clean, clean, fast mixing. Processing 25 to 1000 kg of small batch of color masterbatch, the general use of smaller machines. In view of the single-screw extruders described above, the advantage of using small extruders (such as screw diameters of 45 mm) to process batches up to 500 kg is most evident. The additional cost of one-component production is compensated relative to powdered pigments. As a result of very fast color change, the masterbatch manufacturer has achieved the ideal flexibility (rapid response unit). If the masterbatch yield exceeds 3 tons, the cost of extrusion with a single screw and twin screw extruder is equivalent. In this case, the most economical method must be based on the formulation. If the inorganic pigments (e.g., TiO2) and the organic pigment compound are to be dispersed in a twin-screw extruder, the organic pigment portion may be added as a single component, so that the inorganic pigment may be distributed. Since the organic pigments do not need to be redispersed, the inorganic pigments can be dispersed at a higher output speed. We have focused on Masterbatch, Sesha, color oil and dispersion of pigments, we have a professional advanced production lines, high-end equipment, professional team! Its variety, the materials used in accordance with their business needs, Yujie wholeheartedly at your service!